Looking for deals in Zagreb? Only 2297 feet from the Main Bus Station, Livris Hotel offers modern-style accommodations in Zagreb. Guests can enjoy the on-site bar and a common lounge area. Zagreb Main Square is 5 tram stops away.... Very convenient hotel on a tram ride away from the city center. We liked the fact that the hotel is located a bit away from the busy areas. Car parking available. Very nice and clean rooms. 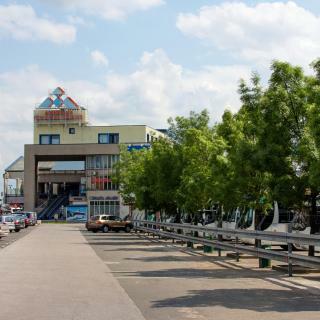 Set 1969 feet from Zagreb Main Bus Station, The Loop Hotel offers free on-site parking and free WiFi access. The distance to the Zagreb city center is 1.2 mi. From the facility to staff itself this hotel was on point. Amazing service, friendly and helpful staff to a remarkably clean hotel. Room was beyond comfortable and clean. One of my favorite hotels I've been in so far and I will be back! You will not regret staying here. In a quiet area in the center of Zagreb, 320 yards from the Main Train Station, the elegant Hotel Astoria has free private parking and free Wi-Fi. This hotel is an excellent choice for a stay in Zagreb. Centrally located, free and ample parking. Absolutely fabulous breakfast. Super nice staff and lots of little freebies in the lobby like snacks and drinks. We would definitely stay here again. Set amidst the lovely, peaceful wooded area of Maksimir Park in the green belt of the Zagreb center, the newly-built Hotel Vila Tina is close to all the cultural and historic sites of the city. Very comfortable bed and mice comfortable room. Will definitely stay there again. Located in the heart of Zagreb’s business district, only 1.2 mi from the city center, DoubleTree by Hilton Zagreb features elegantly decorated rooms and suites, an indoor pool, a Turkish bath and a... Staff was polite and helpful. Room was clean, bed big and in overall a pleasant experience. Located in the very heart of Zagreb, Hotel Jadran offers easy and quick access to all the sights and attractions of the city center. Ban Jelacic Square in Zagreb is a 7-minute walk away. Very good location and nice room. Spacious and comfortable. 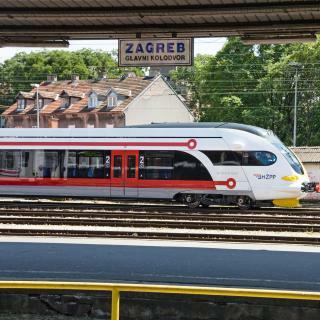 Conveniently located just steps away from the Main Train Station in Zagreb, Hotel Central features air-conditioned rooms with free WiFi. 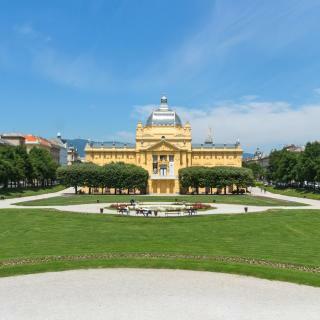 Perfect location for exploring Zagreb! Boasting a prime location in Zagreb’s business center, Hotel International is within walking distance to the old town. The hotel features several modern conference and banquet area. Closed parking with security, extremely friendly staff, a good gym with plenty of room. Located only 3 tram stops away from Ban Jelačić Square, Hotel Croatia offers elegantly decorated rooms. It is well linked with all major business, cultural and shopping districts. The room was very comfortable and clean. Walking distance to downtown and close to public transport. Located within a 10-minute drive from 2 motorways and shopping centers, Delminivm is a modern hotel with a restaurant and a bar. Greate breakfast.greate staf.free parking Greate room.very big room. Hotel Jarun in Zagreb offers well-appointed accommodations in a relaxing ambiance, only 0.6 mi from Lake Jarun. It provides convenient connections as it is close to both a bus and a tram station. Modern, clean rooms with a great breakfast Smiling, friendly staff at the desk and at the buffet. Hotel Forty Two is located in Zagreb, 0.9 mi from Zagreb City Zoo and 1.2 mi from Maksimir Park. Free private parking is available on site. Rooms come with a flat-screen TV. Very clean place, warm and comfortable room, very helpful and friendly staff. Featuring free WiFi and a terrace, Hotel National offers accommodations in Zagreb. Guests can enjoy the on-site bar. Zagreb Main Bus Station is 591 feet away. good lication, and air conditioner. Located in Vodnikova Street in Zagreb’s center, Garden Hotel offers an à-la-carte restaurant and coffee bar with a terrace, free Wi-Fi and modernly furnished rooms. Staff was friendly and helpful. Location is perfect for exploring the city! Set 492 feet from Vatroslav Lisinski Concert Hall, Hotel Orient Express offers free WiFi access and free private parking. Very comfortable. Safe location! Hotel Calypso is in Zagreb, half a mile from the highway exit for various parts of the country. We booked a two bedroom room, everything was great, clean and comfortable. Very helpful hotel staff. Enjoying a superb location in the center of Zagreb, the traditional Art Nouveau Palace Hotel Zagreb offers warm, familiar atmosphere, excellent services and highly skilled, attentive staff. Very nice hotel and close to interesting places. Set in Zagreb just steps away from the Mestrovic pavilion, Hotel Le Premier features an on-site restaurant with a Michelin star awarded Chef. The hotel features a fitness center and a sauna. Huge rooms, great bed; even had bathroom with heated floor! Super friendly and helpful staff. How much is a hotel in Zagreb for tonight? On average, it costs $60 per night to book a 3-star hotel in Zagreb for tonight. You'll pay around $94 if you choose to stay in a 4-star hotel tonight, while a 5-star hotel in Zagreb will cost around $133, on average (based on Booking.com prices). What are the best hotels in Zagreb near Arena Zagreb? Some of the best hotels in Zagreb near Arena Zagreb include Apartment Arena Royal, Apartment Maks Arena and Apartment Maks 2 Arena. Which hotels in Zagreb offer an especially good breakfast? 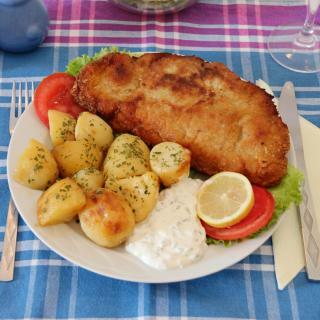 For hotels in Zagreb that serve highly-rated breakfasts, try Hotel Delminivm, Esplanade Zagreb Hotel, and Hotel Magdalena. What are the best hotels in Zagreb near Pleso Airport? Travelers who stayed in Zagreb near Pleso Airport (ZAG) have said good things about Royal Airport Hotel, Hotel Pleso, and Hotel Cool Zagreb Airport. Which hotels are the best ones to stay at in Zagreb? Livris Hotel, Hotel 9, and Esplanade Zagreb Hotel are some of the popular hotels in Zagreb. How much does it cost to stay in a hotel in Zagreb? On average, 3-star hotels in Zagreb cost $123 per night, and 4-star hotels in Zagreb are $113 per night. If you're looking for something really special, a 5-star hotel in Zagreb can be found for $188 per night, on average (based on Booking.com prices). How much is a hotel in Zagreb for this weekend? The average price per night for a 3-star hotel in Zagreb this weekend is $119 or, for a 4-star hotel, $182. Looking for something even fancier? 5-star hotels in Zagreb for this weekend cost around $251 per night, on average (based on Booking.com prices). Which hotels in Zagreb are good for families? Many families visiting Zagreb loved staying at Hotel Capital, Hotel Park 45, and Hotel Sundial. Which hotels in Zagreb have nice views? Hotel Magdalena, DoubleTree by Hilton Zagreb, and Admiral Hotel got great room view-related reviews from travelers in Zagreb. 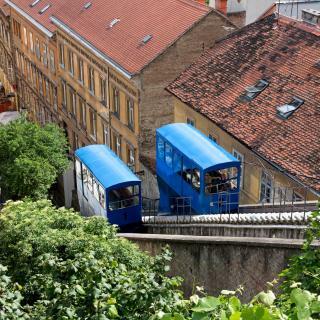 Which neighborhood is the best one to stay at in Zagreb? Zagreb City Centre, Jarun, and Novi Zagreb are popular with other travelers visiting Zagreb. Which hotels in Zagreb are good for couples? These hotels in Zagreb are highly rated by couples: Hotel Capital, Hotel Magdalena, and Hotel Park 45. 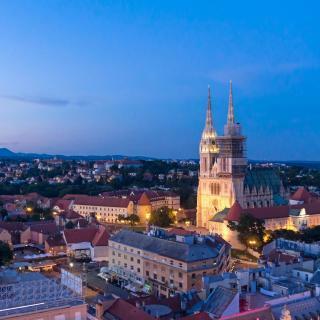 The only capital city in the world with a ski world cup race, Zagreb sits over 394 ft above sea level and has typical Central European architecture of cobblestone streets, impressive public buildings and well laid out landscaped grounds. Built around two medieval settlements with the Upper Town (Gornji Grad) being its core, the city skilfully combines modern attractions with well-established favorites. Start your day at the Museum of Contemporary Art, then make a stop at the Zagreb Cathedral or make a wish at the Old Town Gate. The locals say it will be granted! For a more relaxing time, Zagreb has two lakes - Jarun and Bundek - both offering recreational facilities and hosting festivals and events. After having fun in the sun, you might want to hit the shopping at the colorful markets and small boutiques selling local crystal, ceramics and cravats. To get a different perspective on the city, climb Medvenica, a mountain over 3280 ft tall overlooking Zagreb, and admire the views while sipping famous Croatian wine. And while you’re there, don’t forget to visit the Medvedgrad fortress. Zagreb Airport is just 11 miles and a short bus ride from the city. Whether you’re looking for an elegant hotel, classic apartment or cozy hostel, Booking.com has about 80 accommodations options for you to choose from! An easy city to get round. An easy city to get round. Not congested like a lot of cities. Easily accessible public transport. Lovely pavement bars/cafes together in main central area. Lovely old architecture. Very calm city. Zagreb is an amazing city for a weekend getaway. Very nice apartment - spacious, clean, perfect location in the city center, so it was easy to walk around and have a dinner. It was easy to find it. It was great that the host provided a parking place. We were sorry we stayed only for 1 day. I would definitely recommend it to people traveling through or visiting Zagreb. Zagreb is not a too touristic place, but rather filled with locals that gives the charm of the city. Lot of breakfast places, where you can eat outside, amazing and cheap market in the central. You just cant resist going home with an empty hand. We stayed in Zagreb to avoid a long drive to the airport the morning of our flight. The city is a city. Traffic, both car and foot, made it very difficult to navigate through the city. It was stressful enough driving in a foreign country, but adding the traffic made it almost unbearable. Then, walking through the city center was exceptionally disappointing. The only reputable bit was tucked behind the area where a bunch of restaurants lined the streets, tucked away from the main square. If visiting Croatia, stick to anywhere besides Zagreb. Zagreb is an awesome town with amazing cuisine and a very friendly,safe vibe! Trams are very easy to use. Love the shopping and we were there for Christmas market which was incredible and spring fair as well which was fun! Also cemetery outside city was really cool! Recommend Witches Gritch to eat amazing little restaurant in old part of town! Excellent staff. Excellent staff. Excellent staff. Extremely helpful. From the front desk to the concierge to the waiters or the cleaning staff, everyone was superb amd professionally trained. Special thanks to Dubravka for providing us an early check in and an upgrade as well. Breakfast was great, they even had Halal options which was thoughtful. We have stayed at some of the best hotels in Europe and not once did we find this. Rooms are clean, spacious and provide all the ameneties one can ask for. Clean and comfortable room with welcome air conditioning as the outside temperatures were very high. The fridge and safe were a good bonus. The breakfast was good with cereal, fruit, yogurts, cheese, ham , boiled eggs and various breads and pastries. The proprieter was very helpful in recommending excellent restaurants and general information snd arranging taxis. The hotel is within easy walking distance of the city centre but cheap, easy to use trams are also available and frequent. Zagreb: charming capital of Croatia. Charming even in the station area which is by no means being in a scruffy and dangerous area. It’s just the end (or the beginning) of the city centre in its lower town. Hotel Central is just front right from here. A modern building, my room was firstly a single (in my second stay I was given a double! ), coming with AC, ensuite bathroom, desk and so on. Nice breakfast buffet in the morning with both sweet and salty food. We had a corner unit, very nice and clean room with a lot of space and natural light. It is not in the centre if the tourist area, but about a pleasant 25-30 minute walk away. It is also conveniently close to the airport (about a 25 minute drive). We were lucky that there was free street parking over the weekend. The hotel had a nice gym and spa, but we did not have enough time to try them. Quiet neighborhood, friendly staff, I would recommend. Everything. This is one of the best rooms I've ever stayed at. Much better than most hotels and much cheaper. The room is huge, comfortable, clean, and has everything you need. The breakfast is great and the location couldn't be better, right in the famous street with hip-bars and restaurants in zagreb. Don't think twice to book this. Just make sure to ask for the pin code in advance. The place was located very close to the airport for an early flight and the taxi /shuttle service was reliable to get to the airport on time. Further, even though the hotel is removed from Zagreb (about 20 minutes), it wasn't expensive to get a taxi to the city centre (about $CAD10-15). The bed was comfortable, the staff were extremely helpful and welcoming, and the breakfast was great! Beautiful, spacious apartment in the city center. Walking distance to most everything. Breakfast and taxis available just a couple of blocks away at the Palace Hotel. Sven met us at the building to show us the keys, lights, and more. Definitely recommend. Checkout was as simple as slipping the keys in a secured box. Lovely hotel. Great breakfast. The room was clean. Had available parking spaces at the hotel. Not in the city center, but you could take the tram (which is very close to the hotel) and arrive quite fast. Fantastically located hotel with top quality comforts. The staff are friendly and helpful, the breakfast selection is vast and you are only a few minutes walk from most of the best sights of the city. Pleasant staff and solid breakfast buffet offer solid compensation for some negative aspects. Hotel is also fairly close located to city center (and its right next to main bus station). This hotel is super clean and best location in town.15min walk from main bus station,5min walk to old town center .around90- 100kuna to airport by taxi.breakfast is very good! Everything. Very clean, great staff and good facilities. Tram stop nearby. Taxi organised by hotel from airport was very good. Plenty of restaurants nearby. New, clean, hotel, feel like a home! Location is great, very convenient to go to city center and airport. Spent our last night in Croatia at the Panorma. The location was perfect for dropping off our rental car, as the rental car office is on the premises. Easy taxi ride to the airport. The staff was incredibly friendly and helpful. great staff, great people, great beds, super services, great location..